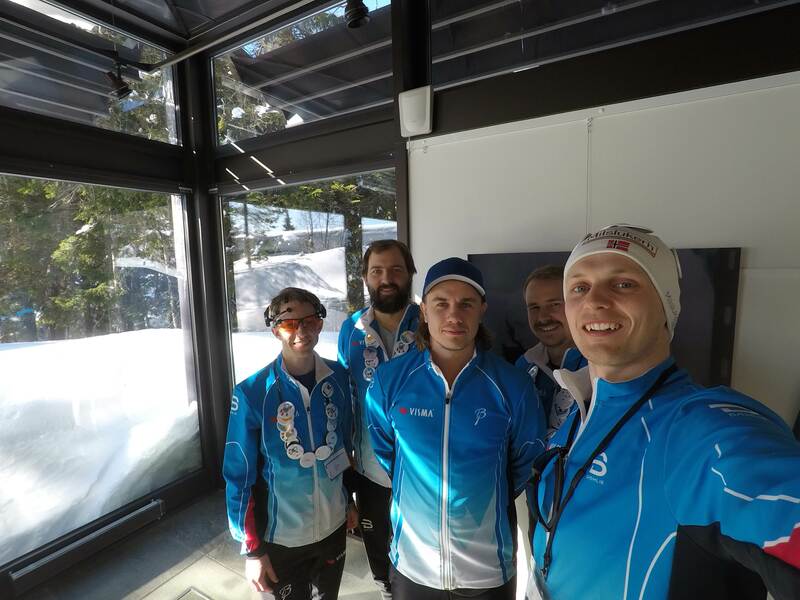 The Visma ConsultIoTing showed up strong this year in matching track suits! In alignment with our theme, our camp has been spiced up with various skiing equipment in addition to some cool geeky gadgets. The first picture shows our setup, notice the LED's in the ceiling, and the various skiing equipment all around. We have some gadgets like Terje's giant "Enter"-button, the EMOTIVE EEG scanner and of course lots and lots of micro controllers. We have even built a cheering robot that waves its flag whenever the EEG records high brain activity. 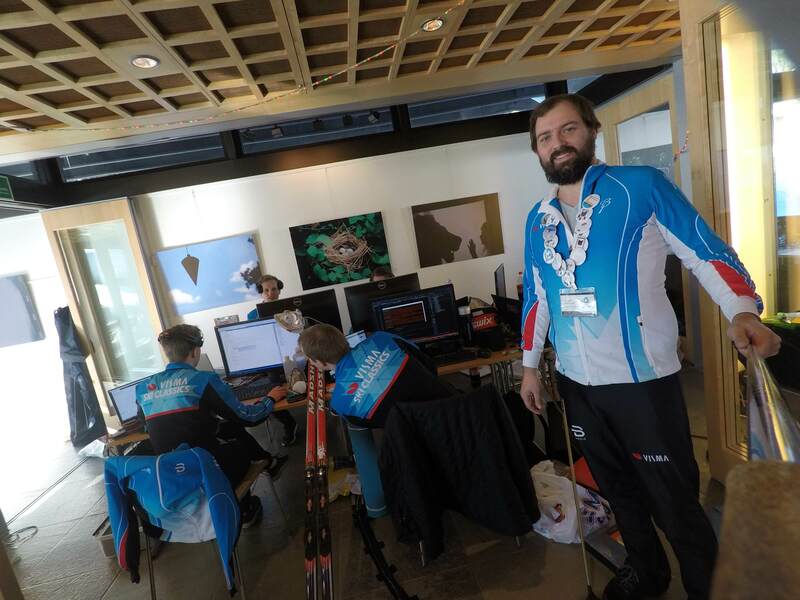 Our uniform is the official Visma Ski Classics uniform, which just happens to be super relevant today since the annual Birkebeinerrennet is being arranged as we speak. If the previous text and pictures didn't tell the tale, this is our application for the "SmartCamp" badge. The Great Inspector ™ can now stamp passports in the final screening before Mars!